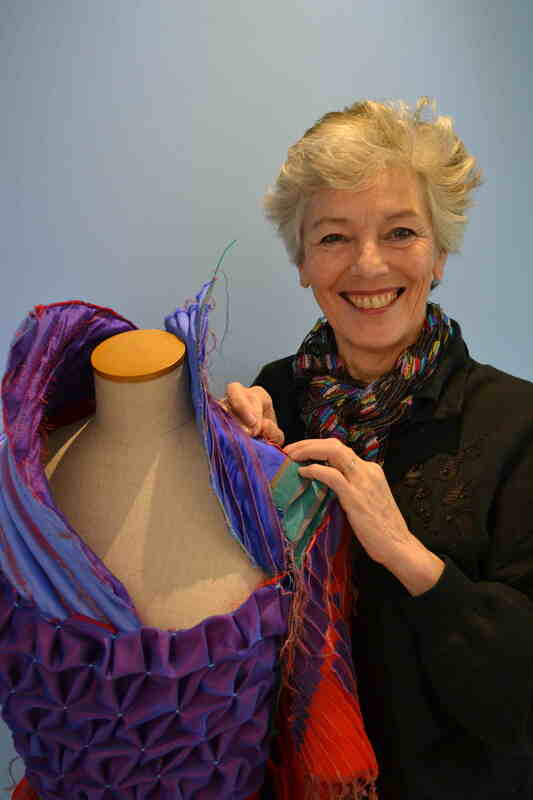 Janet has worked as a woven textile designer before becoming an art teacher for thirty years. Now retired as well as being involved in textile exhibitions she enjoys painting in acrylics and watercolours and keeping a sketchbook diary on her travels. latticed windows, ancient flagstones, crumbling rows of chimney pots; in fact, any man-made repeating patterns where nature is adding her patina. My lifelong interest has been in threads and textures and at Leicester my degree specialism was in woven and structural textiles. I am still excited by repeating units and tessellations and enjoy building up layers, cutting away to reveal, combining media and experimenting."